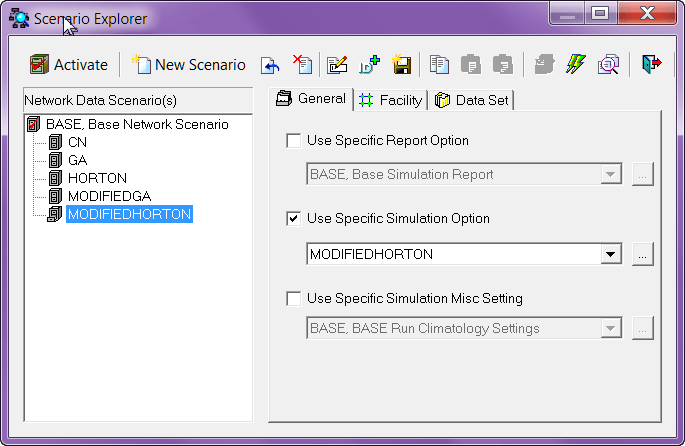 Not only can you have a different Infiltration option per Model Simulation but you can have different options for each scenario and even for individual Subcatchments in a Scenario (Figure 2). In #InfoSWMM and H2OMap SWMM the Soil DB table (Figure 3) shows the individual parameters that apply to Horton, Green Ampt and Curve Number infiltration. 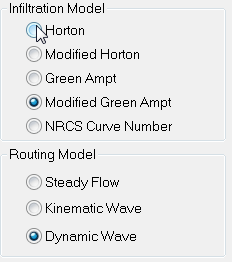 The Modified Horton and Green Ampt have the same parameters as the Horton and Green Ampt Soil Types. The Soil Coverage is specified in the Subcatchment DB Table or individually in the Subcatchment Attribute Browser (AB) as shown in Figure 4. You can also see the infiltration losses for either multiple Subcatchments or for one Subcatchment across many scenarios using the Advanced Reference Graphics Analysis in Innovyze’s InfoSWMM and H2OMap SWMM (Figure 5). Figure 2. The Marvelous Scenario Explorer in Innovyze Arc GIS products allows you to customize the Infiltration Options per Scenario and Dataset. Figure 3. 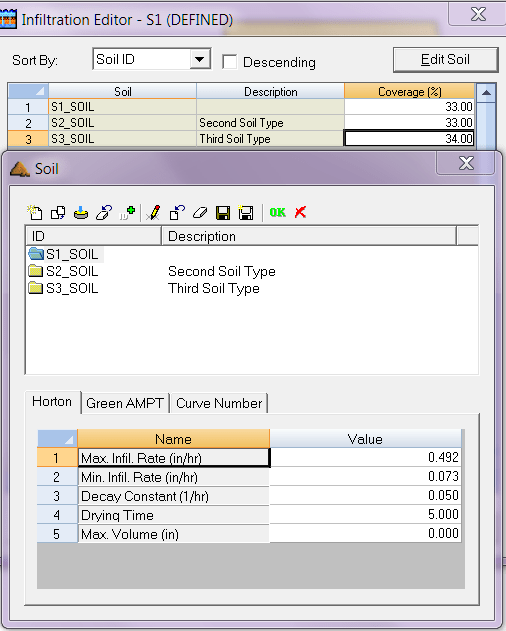 A key to getting good infiltration results is defining the infiltration parameters in the Soil DB Table. Figure 4. You can also define both your Soil parameters and Soil Coverage for each Subcatchment in the Attribute Browser. Figure 5. The feature rich Output Report Manager allows complete customization of the graphs using other scenarios, calibration data and other other output elements.